I serve as the City Clerk in the City of Pleasant Grove, Alabama. 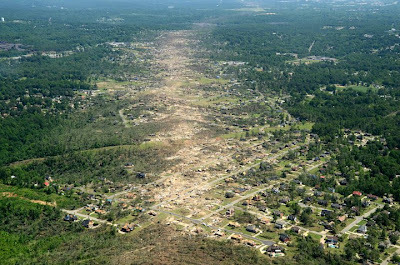 On the evening of April 27, 2011, our city was devastated by a EF-4 tornado. 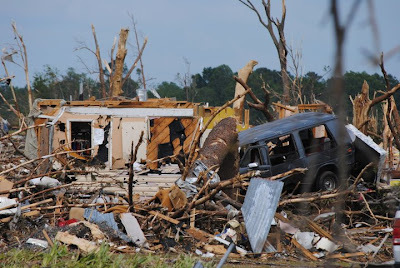 City facilites were unharmed, but 10 people lost their lives and approximately 1,000 homes were heavily damaged, with the majority of those totally gone. We had 3500 homes in the city, so we lost nearly a third of the homes. A path a half mile wide looked like an airport landing strip when viewed from aerial photos. I live just outside the city limits and had debris falling from the sky into my yard. A bank statement from an address in the city of Tuscaloosa, which is 60 miles away from my home, landed in my yard. I told my family, "This is a bad sign." I had a gut feeling it was going to be bad. Feeling compelled to be at City Hall, I told my husband I had to get to Pleasant Grove and do what I could to help. Getting there was difficult; fallen trees blocked the roads leading to the city. At last I made contact with a police officer. I told him I worked at City Hall and asked if he could take me there and he said, "Jump in." On the way there he told me things were really bad. Our firefighters was busy treating the injured and it was like a scene from a war. Triage was taking place before my eyes. I saw doors that were propped against a handrail and realized they had been used to bring injured people to the Fire Department. Our fire trucks could not make it into most areas because of all the fallen trees, so many of the injured had been brought to the Fire Department in the beds of pick-up trucks. Several neighboring cities sent in their fire and rescue personnel and everyone was working together to help the injured and get them on their way to hospitals. Finally all injured had been transported and the next day began the search and recovery stage. When I did get to ride in one of the police cars the next day and see the damage it made me sick and broke my heart to see all the devastation. Pictures don't do it justice, but it is not something you really want to see. I have to say I have really been touched by the tornado victims when they tell us what they experienced. All of them have said the same thing: that the houses they lost were just material and they are thankful to God that they and their family made it out alive. One resident told us that a friend asked her, "Why would God let that happen?" And she told her friend, "God did not make the storm happen. 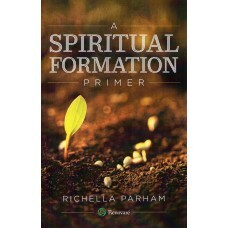 God had his hand covering us and protecting us that evening." She is so right. Over and over we have heard how amazing it is that only ten lives were lost. It is because of God's grace there weren't more. I have been in awe of the volunteers and churches that have come to our aid, helping in any way they can. God wants us to help each other in times of need. The city is in the clean-up process. Some residents have moved away; others have decided to stay and start all over again. 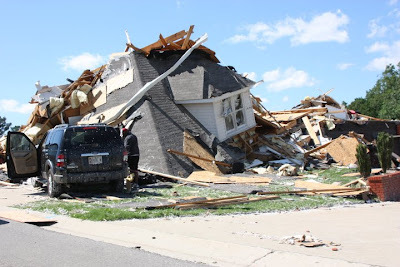 We have over thirty building permits for new homes so far and with time and with God's help we will again be the strong and tightly-knit community that we were before the storm. God's grace was present and still is in Pleasant Grove, and everyone knows it. I have been blessed to hear the testimonies from the storm victims and am blessed to work in a city that is quick to say that they know God loves and cares for them. Thank you to Karen for sharing her story! Now how about you? How have you seen God's grace at work in your life? Share it with us! You can read this post about Grace Imparted. We're looking to celebrate together the goodness of God. Thank you, Karen, for giving us the insider's scoop. I loved what the woman said about God protecting them. What a wonderful way to look at it! That aerial view is incredible. I had no idea it looked like that! Still praying for everyone in that area. thanks for sharing Karen's story. AL is near & dear to me too & I have a lot of friends I left behind over there. So glad that none of them were touched by the storms, but I sure heard a lot of stories too after the fact. It was just devastating. Thank God for His protection! We live in the upper western corner of AL -- about the only area that did not get hit on that tornado day. It was truly amazing to witness ALL of the churches in the area coming together to help the victims of the disaster. It wasn't based on your beliefs anymore. It was a cohesive group of people who followed Christ working together to help those in need. And the churches are still working. From such tragedy came such a time of connecting and learning. It became a blessing.